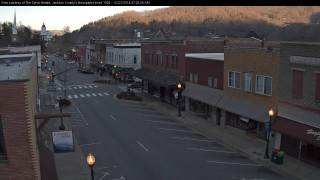 It's 08:54 in Sylva, USA right now. Town View A nice view of Sylva, North Carolina. Whittier, North Carolina: Conleys Creek, 8.6 miles away. Gatlinburg, Tennessee: Panocam Rowdy Bear Mountain, 28.5 miles away. Gatlinburg, Tennessee: Anakeesta's Firefly Village, 28.5 miles away. Clemson, South Carolina: Clemson University, 52.5 miles away. Black Mountain, North Carolina: City View, 53.6 miles away. Chimney Rock, North Carolina: Chimney Rock State Park, 55.4 miles away. Morganton, Georgia: East Fannin Elementary School, 67.1 miles away. Anderson, South Carolina: Bleckley Inn, 68.6 miles away.